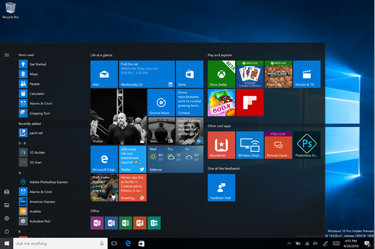 It’s going to be a good Friday for those testing the latest releases of the Windows 10 operating system, as Microsoft is today rolling out a new build of its PC and mobile OS, which will allow users to try the newly announced Windows Ink experience for the first time. 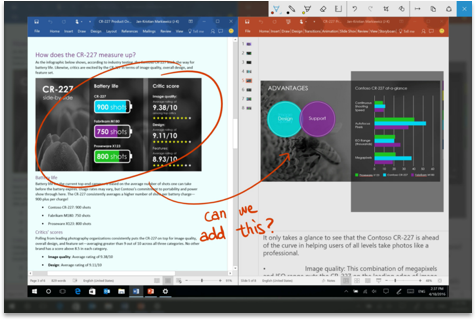 Windows Ink, announced at the Build 2016 event last month, offers improved pen support for Windows 10 PCs, including the ability to create sticky notes, draw on whiteboards and in a sketchbook, annotate and draw on web pages in Microsoft Edge, Maps and more. It’s also integrated with Office. From the Workspace, you’ll be able to sketch out drawings and ideas on a blank canvas, pull up a digital ruler for drawing straight lines, then save and share your work. A new Screen Sketch feature lets you draw on screen captures of your desktop, which is great for collaborating on documents or photos. With this feature, you can draw, crop and mark up images, then share them with others. 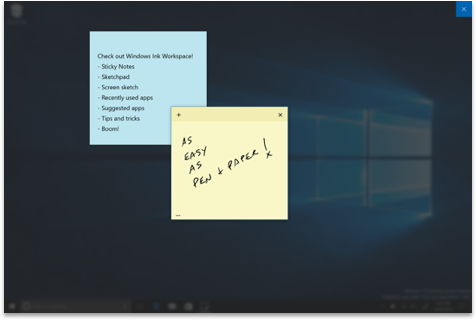 Also arriving today is a new Sticky Notes experience, which you can customize the size and color of, then save. But Microsoft says these notes will soon get a lot smarter, thanks to integrations with Cortana and Bing. In the near future, you’ll be able to write phone numbers down that will then be ready for calling, turn items into checklists, write down flight numbers which then get updated with flight info from Bing and more. Windows Ink will be the highlight of the suite of new features being introduced today, but it’s far from being the only one. 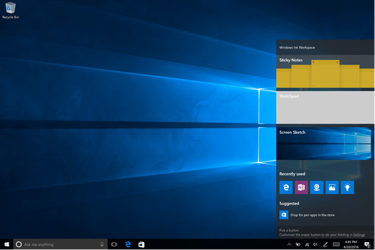 The new build also introduces an updated Start experience, Cortana and search improvements, changes to the Action Center and Notifications, updates to the Taskbar and Settings app, Lock screen improvements and more. Under the hood, the build will also offer battery improvements for computers that can run in “Connected Standby” mode. Of these changes, the more notable will be a new, visual layout for the Start experience, which now sees the “Most Used” apps list and the All apps list merged into a single view and moved to the top of the user interface. 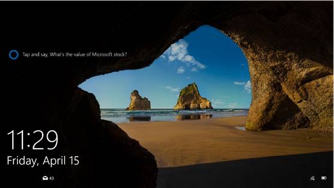 Microsoft says this will reduce scrolling and clicking. It also moved around other key functions, including the Power, Settings and File Explorer, so it’s also visible in the Start menu. A couple of other tweaks here include a change to the Recently Added section to show three entries instead of one, and a way to expand it; meanwhile, additional folders you’ve configured to show up here will now be immediately available on Start instead of requiring you to open the hamburger menu to access them. Tablet users will also be glad to know that the full-screen All Apps list is back in this build, a popular request, the company noted. There are a number of other adjustments specific to tablets, too. You can find the details on the Microsoft blog. In addition, this build now puts Microsoft’s virtual assistant Cortana on the Lock Screen, which means you can talk to her and ask questions (e.g. how’s traffic, what’s my schedule like, remind me…, etc.) without having to unlock your device. The Lock Screen will also offer access to your Media Controls, and it will no longer display your email address, for privacy reasons. Plus, Cortana will now be easier for new users to try out, says Microsoft. Instead of having to run through set up or signing in, you can start to use Cortana right away to ask her questions, perform web searches, have her tell you jokes or look for documents on your device. This onboarding improvement will let users get a taste of Cortana, which they can then choose to improve and personalize at a later point by signing in. Cortana Reminders have been made easier, too, and cross-device features (like ringing your phone, sharing maps across devices) should now work correctly in this release. And you can search across your OneDrive for files in the cloud, instead of just those on the device. 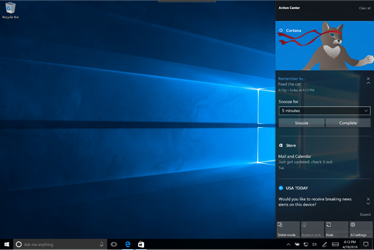 Many of the remaining changes are visual tweaks or adjustments to the user interface — like the introduction of Cortana notifications to the Action Center, or added, relocated or changed icons and menu items. A few actions have been updated, too — like the Wi-Fi Quick Action no longer turns off Wi-Fi, but takes you to view the available networks instead. A full list is available on the Windows blog. As with other releases, this Insider Preview Build (14328) is available to the millions of users who have opted in to test the OS ahead of its broader release. However, Microsoft reminds users that early access also means these builds have bugs — and this one has a lot of “rough edges,” it says. That’s why this one is being rolled out to those in the “Fast” ring. If you want to avoid the bugs, switch to the “slow” ring, the company says.